Wishing everyone a Happy Thanksgiving Day! 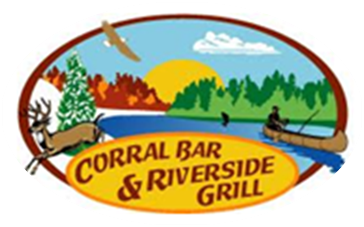 Bring in the New Year with Corral Bar & Riverside Grill! *ALL ABOVE DINNERS SERVED WITH SALAD BAR, HOMEMADE FRENCH ONION SOUP, CHOICE OF POTATO, DINNER ROLL AND A GLASS OF SPUMANTE.